A virtual classroom is an online learning environment in which students and teachers interact via the technical tools provided by the software. Virtual classroom software is used by educational institutions to host classes remotely while maintaining the functionality available in a traditional classroom environment. A virtual classroom holds real-time lessons remotely while offering the same collaborative tools and level of interaction possible in a physical classroom. Educational institutions utilize virtual classroom software to provide access to students who may not be able to attend in-person courses. Through the virtual classroom environment, teachers can interact with students and students can engage with lesson materials, view presentations and videos, and take tests, all in real time. Online course providers may either offer virtual classroom software or utilize it to provide their lessons. Virtual classrooms may come as an integrated part of a learning management system (LMS) or integrate with one. Virtual Classroom reviews by real, verified users. Find unbiased ratings on user satisfaction, features, and price based on the most reviews available anywhere. BigBlueButton is a web conferencing system, designed for online learning. 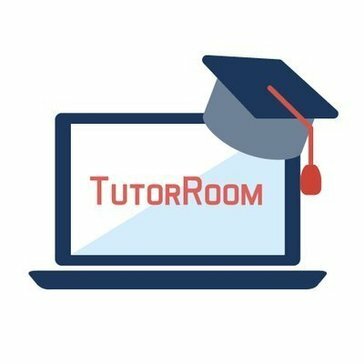 TutorRoom offers a state-of-the-art virtual classroom. Classroom has video, messaging, PDF uploads, whiteboard tools and more. BrainCert is an all-in-one training platform with built-in virtual classroom. OnSync is an award winning video conferencing provider, who for over 15 years has enabled over 10 million people to hold interactive online meetings, webinars, and virtual classrooms on the web - in full HD video and audio. Reliable and robust collaboration software that makes your life easier. Powerful and affordable virtual meeting software proven across enterprise and startups alike. Electa Live Virtual Classroom Software is a professional live virtual classroom and a real-time online collaboration environment designed for teaching and training over the Internet. It is an integral part of Electa LMS which can be used along with it or separately as a live online training tool. E-Learning represents the use of technology in the educational process. The virtual classroom is a segment of E-Learning, and it's about the teaching and learning environment where attendants can teach, interact, communicate, analyze, view and discuss. 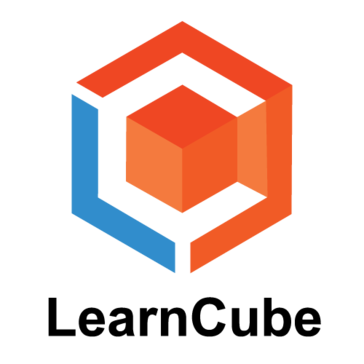 Quickstart's CLIPP is a cognitive learning IT project performance platform, designed to provide personalized learning experience through on-demand courses, VILT, social learning, instructor mentoring and labs in the form of subscriptions. With Coursables, your classrooms move with you at all times and you have 24-hour access to it. There is no need to buy any software or upgrades. Students attain overall a better experience than being in a physical classroom. The application is designed in a very modular fashion, where functionality like poll, whiteboard, attendance etc is all customizable for your own setting. Stream content live and enable audience participation with webcam / audio chat facilities, interactive content sharing. Dreamtek has also developed a HQ video pod that is a plug in for streaming hIgh quality video content important if you are delivering complex training such as engine repair or medical applications via an online classroom. A virtual classroom software is the online platform that showcases and supports the work of a real class room. It works with a set of online tools designed to help teachers to interact with students in a professional way. This is an online learning environment. Jigsaw Interactive is the leading edge, multidimensional, virtual personalized learning platform. Featuring interactive multimedia sharing and engagement tools. Scholica lets you create online lessons in minutes. Virtual Classroom is one of the significant features of E-Three Learning Platform (software for online teaching/training). As the term says, it is a class conducted virtually, wherein professors and students attend from their respective remote locations. Virtual Classroom is an online, web-based tool, which virtually creates a classroom environment similar to traditional classroom wherein professors and students login simultaneously. In this classroom professors can deliver lectures, elaborate on course topics, ask and answer questions, conduct group assignments, take quizzes, polls etc. Hi there! Can I help you find the best Virtual Classroom solutions?